Editor’s Note: Frank Noska of Wasilla, Alaska, lives just up the road from Sarah Palin, Vice Presidential candidate in the 2008 election, and flies jets for United Parcel Service. 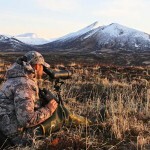 He is an assistant guide in Alaska, but admits, “I don’t do any guiding, because I enjoy hunting for myself too much.” His favorite hunts are for brown, black and grizzly bears that he often hunts without a backup hunter, using just his PSE (http://pse-archery.com/) bow. 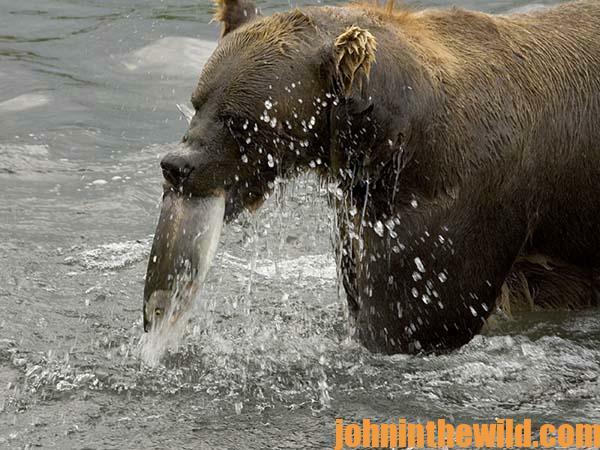 My first brown bear hunt was taken on Admiralty Island in southeast Alaska in the spring. 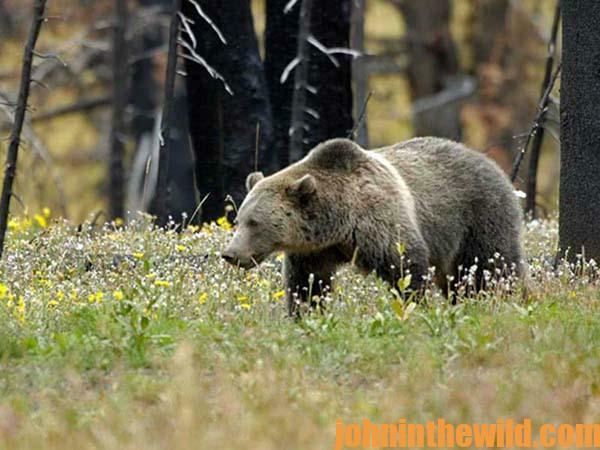 I had researched this area and discovered it had a large number of brown bears. I had rented a Forest Service cabin and brought a raft and a motor with me, because the area I planned to hunt was on the ocean. I hunted with a buddy of mine named Mark Regan, who had brought both a bow and a rifle with him. We cruised the shoreline and glassed for bears with our binoculars. After hunting for 2 days and not spotting a bear we wanted to take, we came to the conclusion that this wouldn’t be a super easy hunt. Mark made the decision to hunt with his rifle. Finally, we saw a bear we wanted to take. Mark graciously allowed me to stalk the bear first. 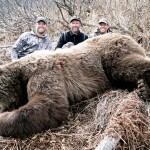 We agreed that if I couldn’t get in close enough to take the bear with my bow, Mark would take the bear with his rifle. I was able to get within 100 yards of the bear feeding on grass along the shore. Then, the bear decided to move into the woods. Mark came up beside me and made an awesome shot on this bear with his rifle before it reached the woods. 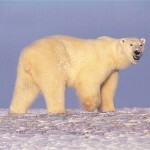 Mark’s bear was about 8-1/2 feet tall and probably weighed about 600 pounds. 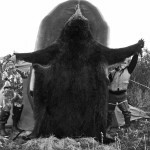 We took pictures, skinned and quartered the bear and got it back to camp. 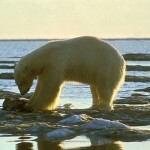 Three days later, Mark and I found a bear coming out on the beach and stalked it. Before I could get close enough to take a shot, the bear moved into the woods. We had seen this bear a few days earlier in the same spot. I suggested that we continue the stalk and get to the place where we had seen the bear come out of the woods. We had a favorable wind. When we reached the place, we moved into the woods just a little and cleaned the brush and sticks away. Then if I had to move to get a shot, I wouldn’t make any noise. We took turns napping. Within a few hours, the bear came back out of the woods exactly where we thought he would. We had the wind in our faces, and the bear started walking toward us. I told Mark not to move, because I thought the bear would pass within 30 yards of us. I let the bear walk just past us and drew my PSE bow. The bear never saw me move and I shot him while he was walking. I hit him 6- or 10- inches-farther back than I wanted, and the arrow passed all the way through and landed in the water on the other side of him. 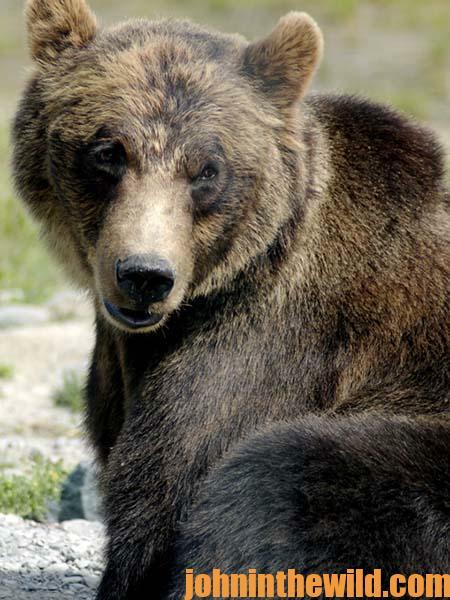 The bear growled and took-off running down the beach, then turned and crashed into the woods. I retrieved my arrow, and we waited about 45 minutes, which was as long as we could stand to wait. The bear had left a good blood trail. For what seemed like 3 days, I looked at the bear, and the bear looked at me. Neither one of us could decide if the bear was about to charge or walk away from me. Finally, he decided to walk away from me. Mark caught up to me about then. We watched the bear lay back down about 30-yards away. We decided to leave him overnight. I didn’t sleep very well, knowing my bear was in the woods. I was wondering if we would find the bear or not the next morning, but when we got to the spot, he only had moved about 100 yards. 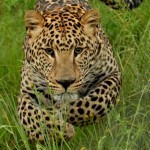 Apparently, he had expired quickly after we had left, because he was stiff when we found him. I guess you always remember your first brown bear hunt. 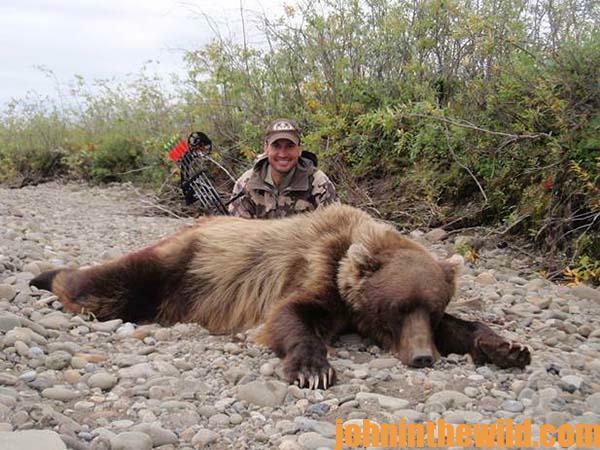 To get John E. Phillips’ Kindle ebooks, The Most Dangerous Game with a Bow: Secrets of the PSE Pros, and Bowhunting the Dangerous Bears of Alaska,” click here.